Nablus, Palestinian Territories. 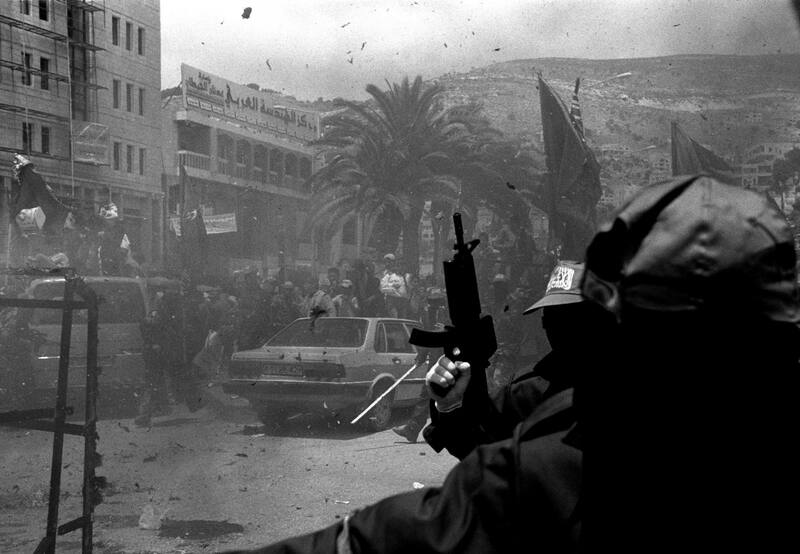 2004 Members of the Al Aqsa Brigades take part in the burning of a canvas tank in the centre of Nablus during the annual al-Nakba, â€˜the catastropheâ€™. This commemorates the 1948 war with the nascent state of Israel it is estimated that around half of the 1.4 million Palestinian Arabs were driven from their homes or fled, to neighbouring Arab states.